#1 Amazon New Release -- What happens when you find your soulmate, but you only have one day to live? What if doctors could revive you from death--and give you an extra 24 hours of life? So This Is The End follows Nora Hamilton as she navigates her final 24 hours. She's determined to do something meaningful and make every moment count. Enter: Renzo. Ren, for short. Strong, compassionate, unfairly attractive, with a face that makes Nora's stomach explode into stars. Their connection is immediate, with white-hot intensity. 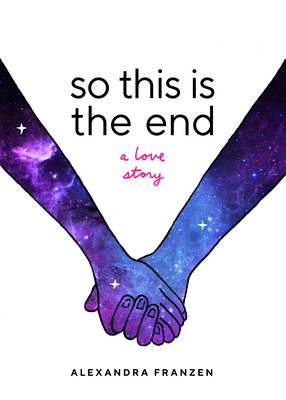 Nora is wracked with bittersweet joy and confusion as she realizes, "I've finally met the love of my life... on the last day of my life." Should she tell Ren the truth about her condition--tell him she doesn't have much time left? How will he react? Is it unethical to allow yourself to fall in love with someone when there's no possibility of a future together? Or is love a precious gift, no matter how long it lasts, even if it's just for one day? What happens next is a story about taking chances, making your own rules, and the power of living like there's no tomorrow.